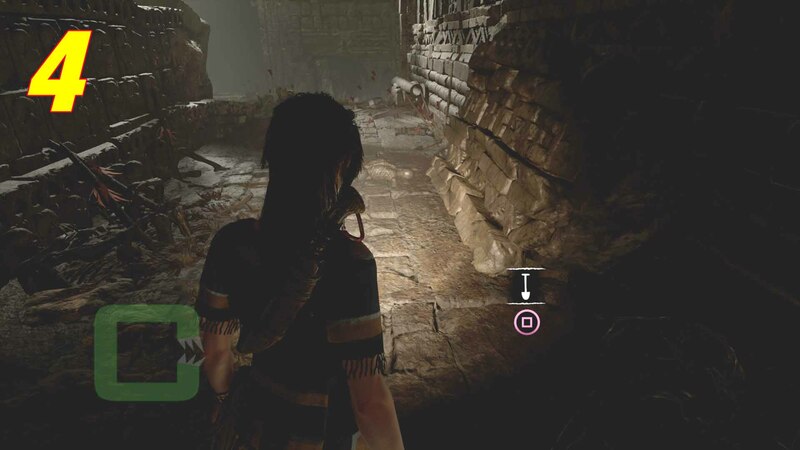 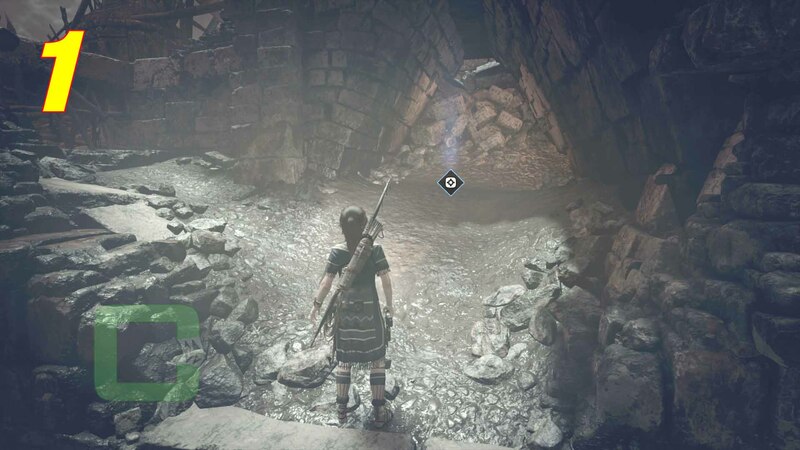 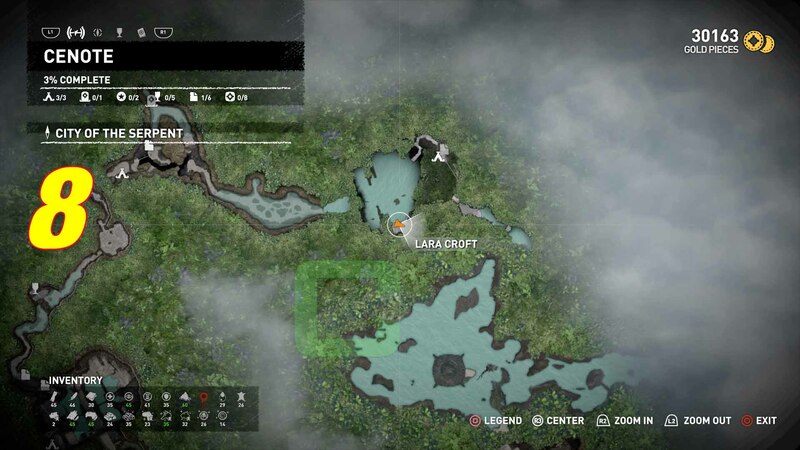 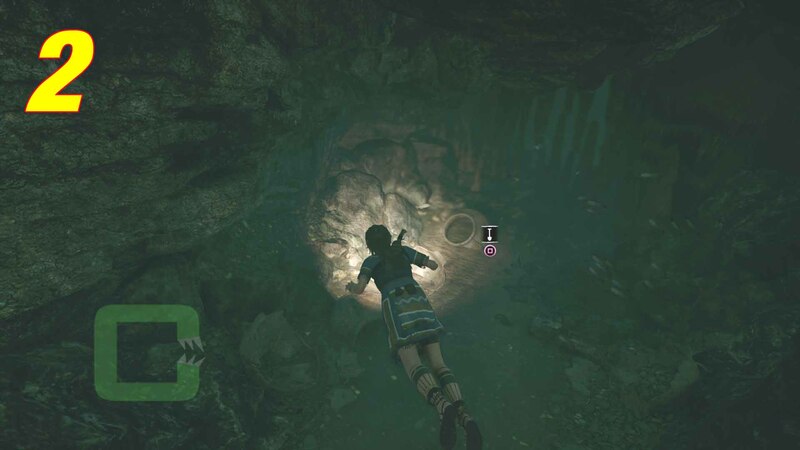 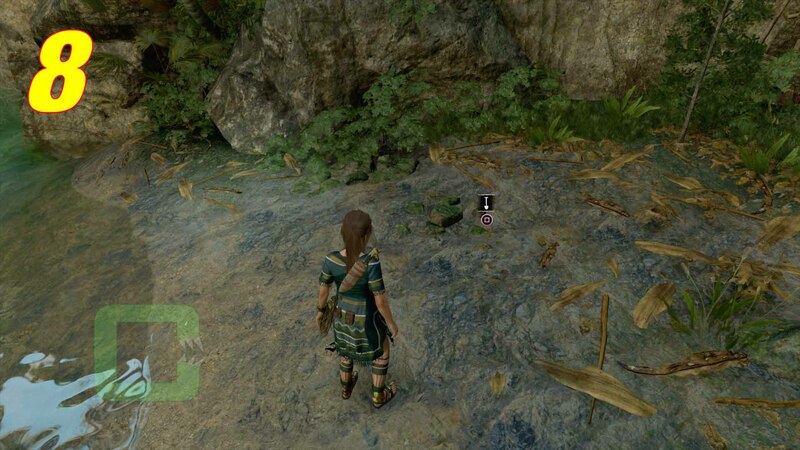 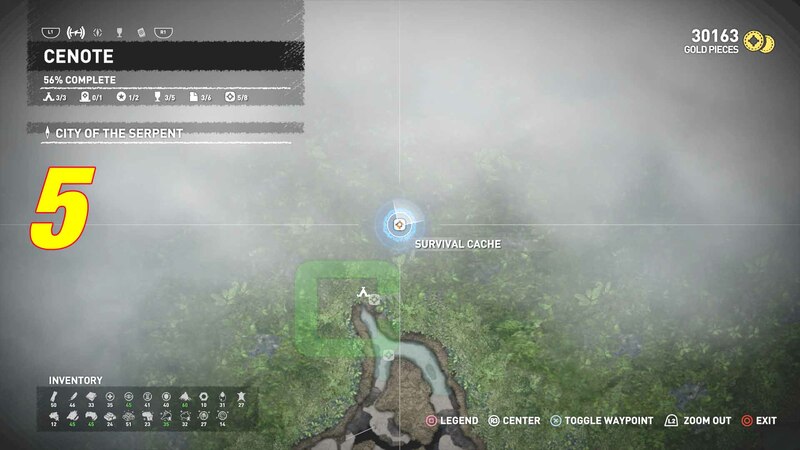 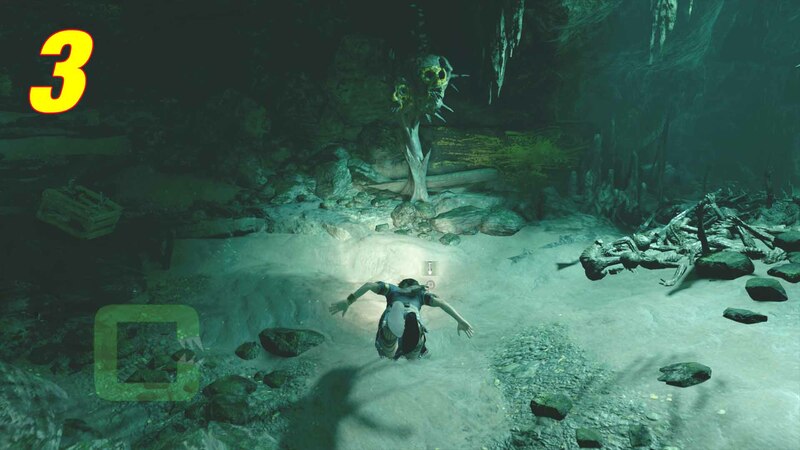 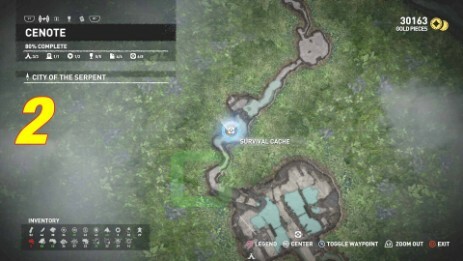 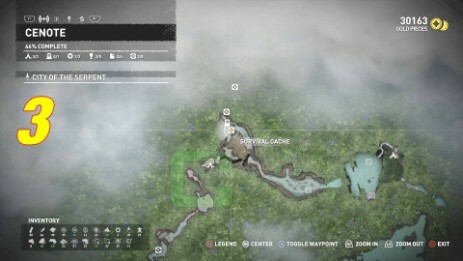 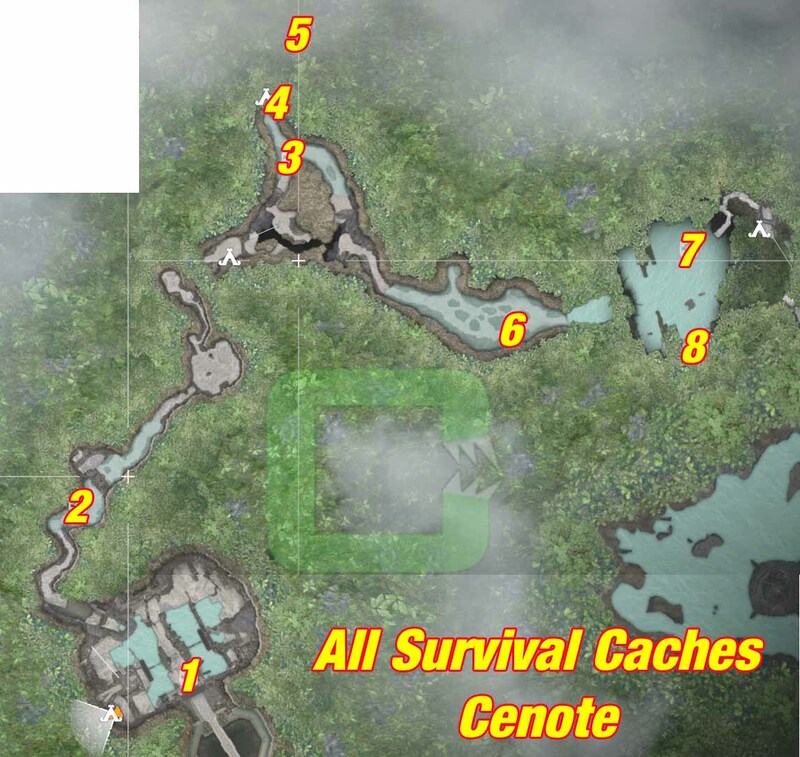 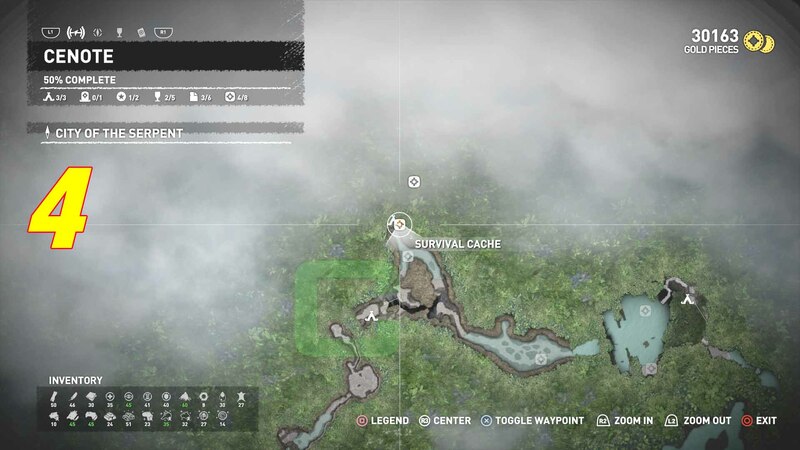 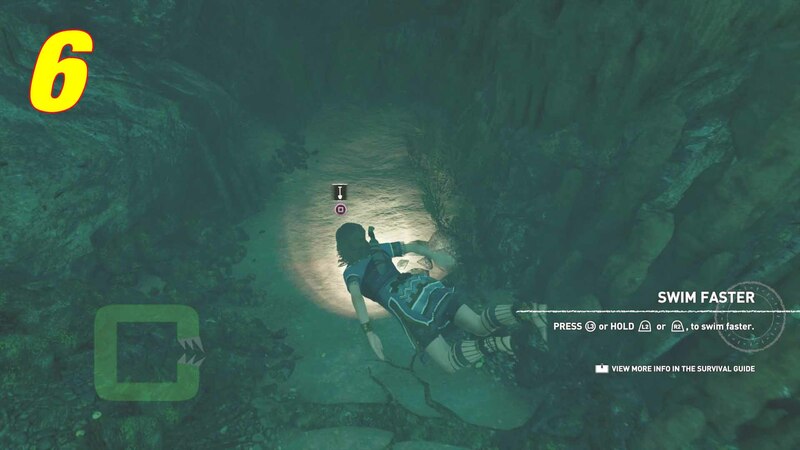 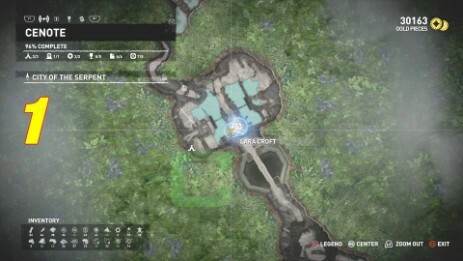 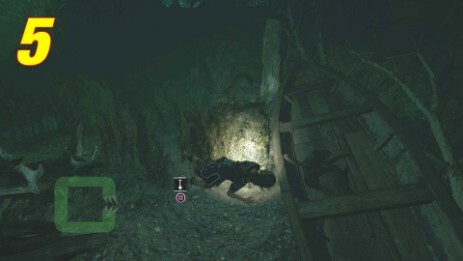 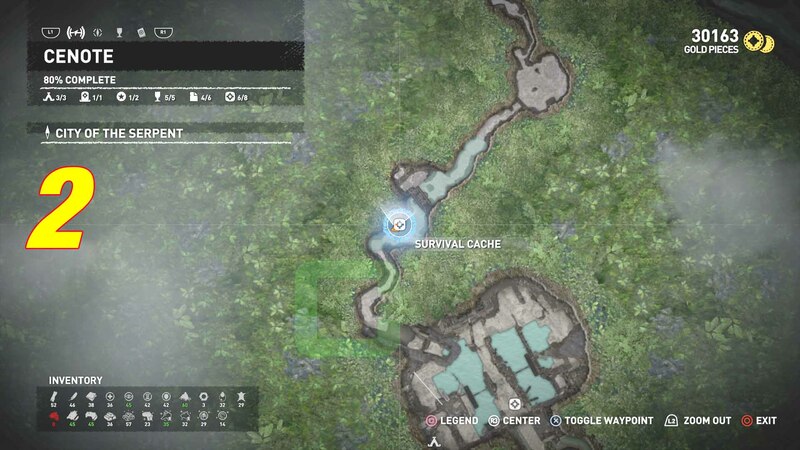 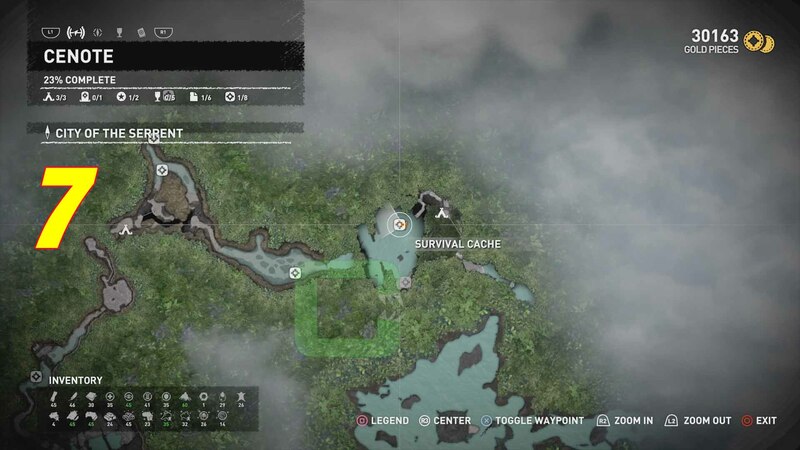 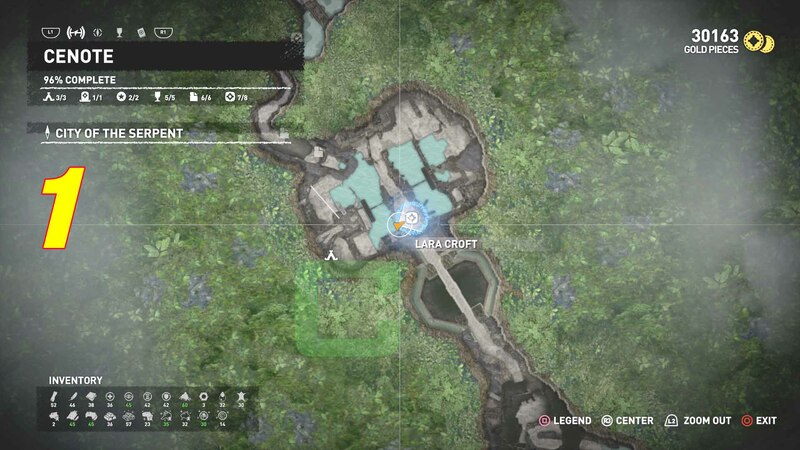 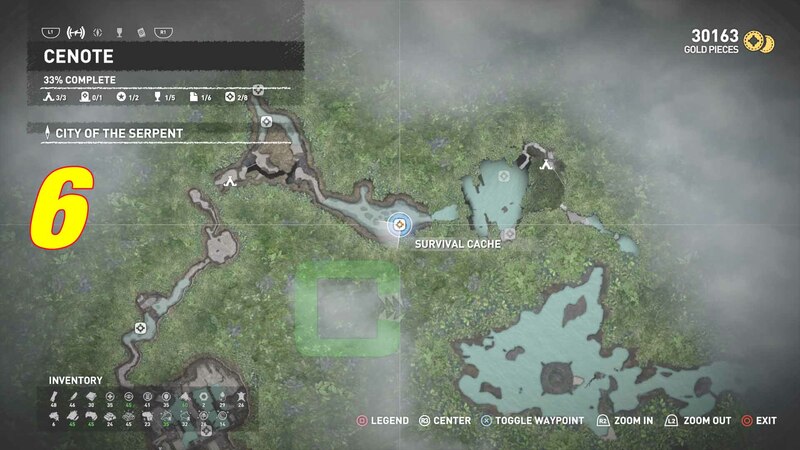 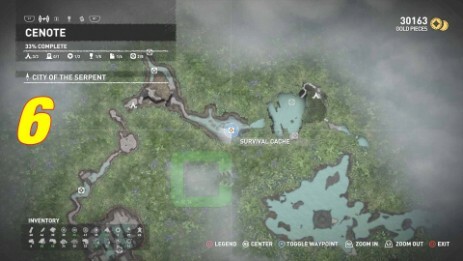 There are 8 Survival Caches at Cenote. At a little collapsed area. 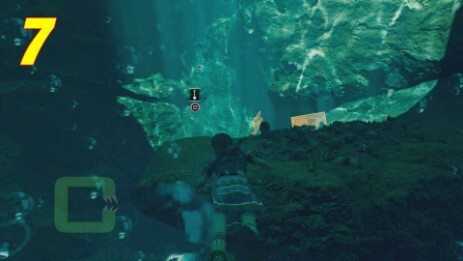 Underwater at the dead end. Inside the main tomb area. When you see the ship the very first time. In the water pool in front of it.